A review of Central United Health Insurance Company finds Central United Life Insurance Company, a member of the Manhattan Insurance Group. 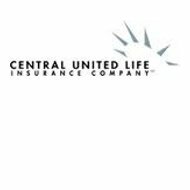 Central United Life Insurance has been offering life, health, and accident insurance for more than 20 years. Compare health insurance rates from several different insurance companies in your area by typing in your zip code in the box above. In addition to Central United Life Insurance Company, the Manhattan Insurance Group (MIG) is comprised of The Manhattan Life Insurance Company, Family Life Insurance Company, and Investors Consolidated Insurance Company. Together, these companies are licensed in all 50 states, and sell products in 32. Because it isn’t always possible to distinguish which one of these four companies administers which policy, this review will be on the Manhattan Insurance Group as a whole. Manhattan Insurance Group sells accident, dental and vision, cancer care plus, disability, essential benefits, critical protection and recovery, and life insurance policies. Accident insurance includes benefits for a variety of injuries and situations, including: burns, fractures, dislocation, tendon and ligament injuries, stitches and staples, eye injury surgery, physical therapy, emergency room or doctors office visits, ambulance, blood and plasma, hospital confinement, intensive care, and accidental death or dismemberment. MIG’s dental and vision plan offers a large network of national providers, and the freedom of choice to select which provider you’d like to see. Additionally, the insurance company offers group dental and vision plans, as well as voluntary and non-voluntary plans. Central United Life Insurance administers the Manhattan Insurance Group’s cancer care plus program, which provides the benefits for cancer treatment and extra expenses. Cancer care plus covers costs associated with: cancer’s first occurrence; hospital confinement; radiation and chemotherapy; surgery, whether in the hospital or elsewhere; bone marrow transplants; and cancer screening tests. Because the insurance company realizes that it’s often the expense of cancer that overwhelms people, the cancer care plus coverage also pays cash benefits to be used however it is needed. Manhattan Insurance Group sells both individual and group disability insurance. Individual disability is available to cover accident only, or accident and sickness. It offers a benefit period of one to two years and coverage up to $2,000 a month. The group disability plan has a partial disability feature, multiple benefit periods, and up to $6,000 a month coverage. MIG’s essential benefits plan is a medical indemnity plan. This means that, as a plan subscriber, you would receive a specific cash amount back for a specific medical service, regardless of what you were charged by the medical provider. The essential benefits plan allows you to receive outpatient and in-patient care; surgery; hospital admission; ambulance coverage; allergy shots; immunizations; and a prescription drug benefit of $2 million over your lifetime. The plan pays the cash directly to the insured, as reimbursement for the medical bills. As far as life insurance policies, Manhattan Insurance Group offers term, whole, and universal. Its critical protection and recovery coverage helps provide a policyholder with the cash needed to overcome a critical health event, such as a stroke or heart attack. The company also offers 24-hour accident insurance, which covers you in the case of an accident at any time, and anywhere in the world. Manhattan Insurance Group has one website, Manhattan Life Direct, dedicated to offering quotes on each of their insurance products. You can view their products, get a quote, and apply online. There is a pull-down menu for each state with coverage, and then a click-through to show which products are offered in that particular state. Existing policyholders can also manage their accounts from the website. Still looking for health insurance coverage? Just type your zip code in the box on this page and you’ll be able to search through health insurance rates for policies in your area. My mother had a cancer policy with Central United that we did not find out about until she passed away. She had the policy for over 20 years. We have been sending documentation back and forth to them for the last 6 months. They seem to want to make this as difficult as possible for us so that we will give up on trying to collect anything on her claims. We sent a copy of the letter of the items they requested further information on to the hospital, who then sent us copies of everything. Even after sending it all to them, we just got another letter asking for further clarification! I went to use my insurance for the time in over 22 years only to find out I no longer have this special cancer policy. It has always been on automatic draft. Looked up back to December to find out they stopped taking it out. I have never received anything concerning this. Anyone have any suggestion on how I can straighten this mess out. Now I’m at the age I need it after all these years. Avoid Central United Life insurance at all cost. I enrolled in this insurance company at work during a health fair. I was not looking for a financial gain, I bought this insurance just in case! Well, just in case happen! My wife was in the hospital for several days. I submitted all the required paperwork. I was told that it takes 12 to 14 business days to process a claim. It is going on six months and my claim is still sitting on a desk of a supervisor waiting to be processed. Look at all the customer’s reviews, they are all low rating. I gave them a one in all category because I could not give them a negative number. As consumers, we expect that if we pay for a service we should get it. Basically, Central United Life is a bunch of thieves. this is the worst insurance EVER! Avoid at all costs, I cancelled my policy with them on June 1st and they are still taking money from my account. I went to my doctor’s office and handed the receptionist my card and she said it is actually like having no insurance at all. THIS COMPANY IS A SCAM! I RATE THEM, HELL THERE IS NO NUMBER LOW ENOUGH! I bought a disability insurance policy from Selective Insurance Company back in 1983. It was sold to Central United Life. Every since they have taken control of my policy and I submit a claim, which has been few, I have a hard time getting them to pay me. The people that answer the phone always have a different answer. They are now telling me that I have to submit a claim form every month to get paid, but after 6 months I don’t have to do this anymore because they may get audited. This doesn’t make any sense. It says nothing in my contract about submitting monthly reports to them. They take my yearly premium, which goes up all the time, but it’s hell trying to get them to pay me. Must contact insurance commissioner again to get any action. Even if they paid me the monthly payout, I would never recover what I’ve put into it. At this point, they are almost 2 months behind in paying me. They act if I’m trying to steal my money I put into it for over 30 years. I pay them on time and they should pay me the same, not give me a hard time and have me pay the doctor to fill out the from each time, even though he states that I’m still out and there is no expected time of return. I’m pissed. I will go over their head again to get the money that’s due me. VERY DISSATISFIED CUSTOMER. Why am I paying $15.00 for a policy was supposed to get back twenty years ago! And you are very hard to get in touch with. But kept taking premiums & never any correspondence. I think somebody at this company owes me an explanation & apology & a g#[email protected]#$% phone call! Hope someone there is reading this, I’ve been the rights to some claims I’ve had over the years because no one there wants to do business & should be reported to federal & state Insurance boards. hope someone there will contact me before I turn them in for fraud!!!!!!!! I took out a life insurance policy in April, 1996. In April 2002, I requested a “cash withdrawal”, They processed the application as a “cash loan”. This did not come to my attention until May 2013, when they mailed me a letter stating that I owed over $15,000…..the amount I withdrew was just over $6,000. There was no correspondence from them for ELEVEN years. They advised unless I paid them almost $1,400 immediately, the policy would lapse and there would be no coverage. They advised me to include extra money each month earmarked as payment toward interest and I would not be faced with interest on my anniversary date this year. I did as I was instructed,but still received another letter stating that I owed over $1,200 in interest for this past year! When I called them I was told that all the extra money I had paid over the last year was applied toward the “loan”, not the “interest”…….really?? Since when do companies apply money toward the principle rather that the interest? Bottom line they have collected more than $22,000 since I took out the policy and are trying to cancel the policy and reap the more than $22,000 that I have paid them. While I know they are scamming me, I am certain their thousands of other victims out there. They should be barred from doing business anywhere! They have denied every claim I have submitted for pre-existing condition although they were not pre-existing. I have been fighting with them for over 6 months. If you could rate them less than zero it would still be too high! The worst horrible excuse for an insurance company. STAY CLEAR!!! They will not pay any valid claims ever. Just keep giving you run around saying they need more information and it all has been provided over and over. They need to be CLOSED DOWN. TOTALLY WORTHLESS AND WASTE OF MONEY!!! Mike Benke says he has developed the best plan there is, well on paper anything can look good, but when they never do one thing they say they will that is a different thing. Please AVOID. Bad news company. They are glad to take money but forget service or response from them. If possible I would leave a negative 5 stars. Terrible Company! I paid my premium, they took 30 days to apply the money to my account. They then canceled my policy for non-payment, denied all my claims, which is a total of $500 no big deal right? Two months later they sent me my premium back and refuse to cover the dental work that was done while they sat on my money. Never did I get anything notification about my premium not being paid. I found out at the dentist I did not have coverage. I called Central United immediately and they said they would look into it, have been looking into it since June, now November. 10 phone calls into them and 10 promises they would review what happened and have a supervisor call me. 1 time a supervisor called me, I immediately called back and never got a return phone call. This is all over a small claim. I cannot fathom how hard it would be on families with large claims that cannot afford the bills. I have several clients with CUL, and ever since Manhattan took them over they’ve been great. I can also say that if you have a good agent, any company you use is going to be better. The agent can help get you past the people answering the phone when you call. Now, I am not making excuses for any company having a poor customer service department, but anytime my clients have had an issue I have been able to quickly resolve it by talking directly to my contacts. Something to think about. A lot of these issues could have been resolved with a good point of contact.